Vulnerable patients will require dynamic pressure relief systems to reduce their pressure ulcer risk, and a system with automatic weight detection is best to provide reliable protection. With a dual therapy system, the Sidhil Apollo Dynamic Alternating Air Pressure Relief Mattress System offers both alternating and static therapies and is designed to meet a number of patient requirements, even in an ITU ward. Designed with a figure-of-eight cell system to prevent bottoming out in the event of a power failure, this mattress is ideal for those at high risk of pressure sore development. 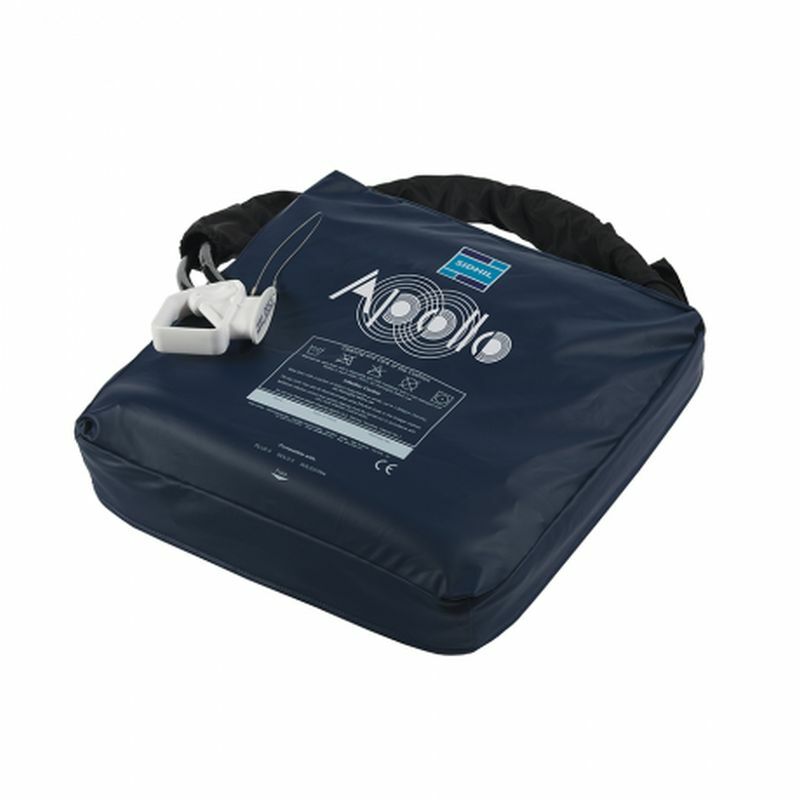 For 24-hour pressure care, the Sidhil Apollo Dynamic Therapy Pressure Relief Seat Cushion is an excellent addition. 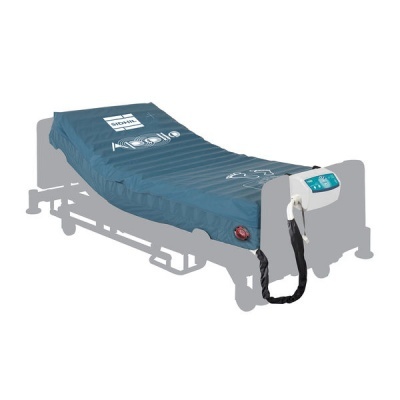 To ensure the user is fully supported at all times, this mattress features an automatic weight detection system that can adjust pressure based on the position and weight of the patient. This will account for the size, weight and position of the patient, enabling the mattress to provide an ideal level of pressure with minimal manipulation by the care team. In the event of a power failure or pressure loss, many mattresses will begin to 'bottom out', where pressure is rapidly lost and the support is jeopardised. To prevent this, the Apollo Mattress is made with a figure-of-eight cell system, ensuring the sub cell remains supported so that a certain level of support and relief is able to be provided in the event of an emergency. This mattress is supplied with a multi-stretch, waterproof and vapour-permeable cover. This cover will protect the mattress from spills and fluid ingress, and features welded seams to ensure maximum safety and reliability. Please be advised that the Sidhil Apollo Dynamic Alternating Air Pressure Relief Mattress System is usually delivered within 1 week of your order being placed. We would advise you to consider this delivery estimation before placing your order. For more information, please contact our Customer Care Team at 020 7501 0592.